So, there we sat. Liz and I were waiting in the church library for the meeting to begin. I had some sense of what to expect. I’d been in church meetings before. I’d been to Oz and had seen behind the curtain. It would be a slam dunk set up. The pastor would come in, accompanied by two or three others who totally and unflinchingly agreed with him. They’d put together their talking points. They had played out the meeting among themselves, came to their conclusion and now, all that was left was to fill us in. After, an imitation discussion, of course. We were called in to discuss some horrible crime related to our Twitter pages. The pastor didn’t want to tell us why he wanted to meet with us, surprise being an advantage to him. Nor did he want to invite the person who’d brought the questionable tweets to his attention. But, we would have no meeting without those two concessions, I assured him. Reluctantly, he gave in. Pastoral sit downs are so stacked against the congregant that, like Gil Garcetti moving the OJ Simpson trial to downtown Los Angeles, he was sure he’d crush us. I assumed that he had issues with our Twitter accounts because I followed LaylaLoves on twitter and she followed me. We occasionally talked about our dogs, hers being Mojo and mine being Spanky. She is an entertainment and sports reporter. Very knowledgeable and very attractive. But it wasn’t Layla. It was David Platt. I wasn’t the problem at all this time. It was Liz. She was posting quotes from Platt’s book, “Radical”, a book which looked at the American Evangelical church in a new way. At that meeting was a kid on the worship team. Wanting to be noticed, told the pastor’s wife that Liz was posting “dark tweets about the church.” she, ran to tattle to her husband. Not until the meeting began did the pastor learn that the tweets and re-tweets were points made by Platt, probably because he couldn’t conceive of someone learning something from a source beyond his pulpit. What did our pastor find objectionable about Platt? Nothing, it turns out. He agreed with every Platt quote once he learned that they were from a respected, hip Christian leader. He did say that Platt was wrong to make those observations public and Liz was wrong to Tweet them. The assistant pastor earned his paycheck, saying, “You don’t know who might read it and say ‘Ross and Liz think the church is bad so maybe it is'”. Then it got awkward. I enjoy awkward. This was the point where Liz reminded him that he had asked her to do internet research to learn what the cool churches had been doing. He wanted to incorporate some trendy things into his sermons. He was angry with her because she had done what he’d asked her to. Besides, she pointed out, she’d written many positive things on her personal blog. “Well, you once called me a cold hearted preacher, he screamed. And….there it was. Four years before, a young man who from our congregation lost his life in a car crash early on a Sunday morning. The entire service went by until there was an “oh. as some of you have heard,” announcement. After dismissal. I met the pastor and told him I’d thought that the late announcement wasn’t enough in this situation. I told him that I’d wished he’d done more. He explained why he’d approached it the way he had and his point made sense to me. I told him so immediately and we parted, I thought, amicably. Not so. Now, in the presence of the assistant pastor, the kid from the worship team and my wife, he spewed out his bitterness. The saddest part about it is that he had been acting as everything was fine. He was taking communion every Sunday and serving it to me. He made me a deacon. And, all the while, he hated me for a conversation that only happened from him reliving it and rewriting it in his mind. I reminded him of what really happened and he admitted I was right. He then launched into a “you two are so bitter that nothing any pastor does can make you happy.” Then, he heel-turned and was off to pick his daughter up from school. Why did it happen? I think it was a pastor who didn’t understand his job. He admitted that he never was on Twitter. He’d only felt he had to do something because his wife brought it to his attention. And she heard from the kid on the worship team. But, why did he care? What if the tweets weren’t quotes but were Liz’s own words? What if there was, as the tweets suggested, a problem with the church in that it was functionally segregated by color and culture? What if the church really wasn’t doing enough to care for the poor? Is it really preferable to keep silent about it? Should tweets really be, as the pastor actually insisted, “rah, rah, Jesus?” I don’t think so. and this Protestant pastor needed to remember that Martin Luther didn’t think so. 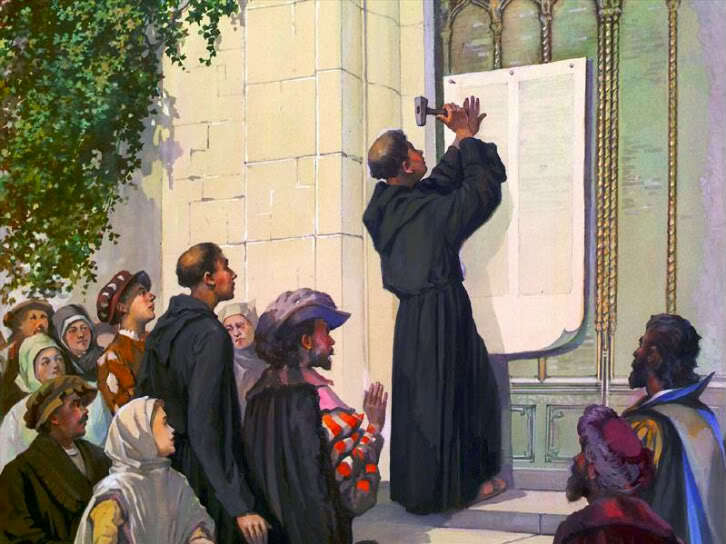 In fact, that church might never have existed if Luther hadn’t criticized the Church of his day, using social media in nailing his 95 Thesis’ to the Wittenberg door that Saturday in October. The next Sunday, during his sermon, he held up a copy of Platt’s book. It was a book he was enjoying, he claimed, and promised to be working Platt quotes into his messages.Of course, he never did. And then he did the thing pastors often do when they fail to dominate their prey in a meeting. He re-enacted a question/answer from our discussion but altered the responses to prove his point. The phone calls started three weeks later. The assistant pastor called to ask why we were still coming to church. He told us that, if a pastor had spoken to him as venomously as ours had to us, he’d be gone. After several more calls I asked a friend of mine, a counselor on the church staff, why I was getting these repeat calls, He told me that they wanted us out. And, so it crystallized for us. A string of people had been driven from that church after nasty encounters with that pastor. We were just the latest. So, yes. We would start going to another church because that’s what our insecure pastor wanted. I told him we wanted to go to a church that had a greater outreach to the poor. Makes sense, he said, because “you’re not gonna get that here.” So, we went to the other church, the one from last week’s Ashley Madison post. So, Pastors, don’t fight your flock. Shepherd us. You’re called by Christ to take care of us. Treat us kindly. Drive us into the safety of the church, not from it.Don’t use our private conversations for sermon fodder. And certainly, under no circumstance should you slam us as bitter without being willing to help us with our problems. Oh yes, and don’t expose your own bitterness while accusing someone else of being bitter. As always, I appreciate your comments. Next weeks’ blog will likely be about the aforementioned Glenn Blossom. Let’s see if you get sick to death of Glenn Blossom too. 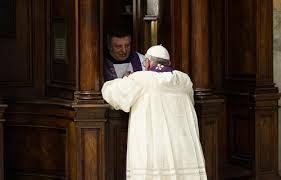 When I said those words, it struck me that I’d never thought that The Penitential Act of confession would be one of the major attractions to Catholicism for me. Why would I sit in a dimly lit booth and speak my sins out loud to another man? For thirty seven years it had been drilled into me that there was no mediator between man and God but Jesus Christ, and I could access God’s forgiveness at any time by merely thinking about it in the privacy of my head. Now, I was comforted while confessing my sins to a priest. There was something very welcoming to me about confession. I knew for certain that it was the Seal of Confession more than the confession itself that drew me. I knew that whatever I told the priest would not be shared with anyone else, not even with me. And that was very different from the religious culture I’d come from. During my previous thirty seven years I’d learned that you had to be careful what you allowed people to see of you in church. The Apostle Paul, Saint Paul, wrestled openly with sinful desires. He didn’t hide that. Romans 7:15-20 has him writing “ For I do not understand my own actions. For I do not do what I want, but I do the very thing I hate. Now if I do what I do not want, I agree with the law, that it is good. So now it is no longer I who do it, but sin that dwells within me. For I know that nothing good dwells in me, that is, in my flesh. For I have the desire to do what is right, but not the ability to carry it out. For I do not do the good I want, but the evil I do not want is what I keep on doing. Now if I do what I do not want, it is no longer I who do it, but sin that dwells within me.” Let me be clear; Saint Paul would be excluded from ministry in a few churches I’d attended. In all of the churches I’d attended, only one pastor, Glenn Blossom, ever admitted to the same struggle Saint Paul so openly wrote about. His openness about his own temptations and failings created such a comfortable environment at that church. He often said that the church, a precursor to our heavenly family, must be the safest place on earth. I wonder too, if the ability to speak freely about ‘little’ sins might be a good defense against the major failings we’ve seen via Ashley Madison. Maybe, if Josh Duggar and Sam Rader weren’t conditioned to hide their sin as a means of self preservation, perhaps someone could have helped them avoid this latest scandal. Needless to say, those other churches were never the safest places on earth. Following the pastoral lead, everyone dedicated themselves to hiding and denying any sin issues in their lives. To be discovered would mean being shamed, being curtailed from any ministry you might be doing and, what I didn’t find out until much later, being grist for the pastor gossip mill. Just before I left the Evangelical church on my tiny island, I learned the secret that moved me out. The pastors on Staten Island socialized regularly. Their topic of conversation? Their congregation. I was naive enough not to know that. These pastors all preached about the sin of gossip from their pulpits. It was dishonest. It was hurtful. It ruined lives. It tore congregations apart. Yes, they told us that gossip would surely do all these things. And then, they gossiped. In the last church Liz and I attended, the one that drove me to the open door of Catholicism was where I found this out. Liz was asked by the choir director to take over the choir. This is Liz’s gift, she has led worship for many years. Surprisingly, the pastor said she would not be allowed to do it because she had been greatly hurt in a church fifteen years before. I immediately asked for a meeting with that pastor. I was concerned about two related things. First, I wondered why he thought Liz was troubled fifteen years after an event. Secondly, I wanted to know why he thought, believing that to be true, would tell it to his current choir director. The amazing revelation about the meeting was that the pastor realized that Liz and I did not know the two people he’d heard the story from and….wait for it…..he remembered that the story was about someone else and he’d thought the story was about Liz. He didn’t want to create any “confusion” so he thought it best that Liz not become the new choir director anyway. Besides, he said, he’d spoken to another pastor about us and that pastor told him our twitter pages had “dark posts” on them. Staten Island is a small island. Knowing that all the pastors gossip about their church was an eye opener to us. But learning it meant there now was no way we could again sit in an Evangelical church without the reasonable fear that the pastor had heard a story about someone else and now thought it was us. We couldn’t listen to another sermon about “integrity” without feeling betrayed. The church was no longer the safest place on earth. We began to think about the local Catholic Church parishes. We weren’t thinking of converting. We were just looking for a place to live out our faith in the presence of God without worrying about the gossipers. We knew there was no interplay between the Evangelical pastors and the Catholic priests. Catholicism seemed safe. We drove past one church, The Church of The Sacred Heart, and noticed that the door was always open. That attracted us. We went inside. The service was beautiful. There was so much meaning to me at every moment. So, as I knelt in the confessional, confessing my sins to a priest, I was confident that no one else would hear about them other than the three of us in that booth. Only me, the priest, and god. I knew that the priest would strive to not even remember my confession. He wouldn’t bring those sins up to anyone. Not even me. I was safe in church, I was home. As always, I look forward to reading your comments. Brian Regan, My Mother, and Stickman. Shortly after my mother passed away I took my daughter Bethany to see Brian Regan at Caroline’s Comedy Club. Because it was so soon after my mother’s death, I wasn’t certain that we should go. We also though it might be dishonoring to my mother’s memory to go to a comedy show. But a friend of ours had contacted the General Manager, Greg Charles, and Greg graciously upgraded our seats and arranged a backstage meeting with Brian. So, we used that as the reason we shouldn’t stay home. We went backstage for the pictures and spent some time chatting. I told Brian what our situation was and how awkward Bethany and I felt as the show began. But, for me, Brian Regan is the funniest man in the world. It wasn’t long before we were laughing a cathartic laugh. It was a great night. I told Brian that he’d done a great thing for us, that what he did for a living sometimes transcended a joke and a laugh. He’d started us back on the path toward healing. Recently, Liz and I had the opportunity see Ron Bennington interview Brian Regan for Ron’s show, “Unmasked”, on Sirius Radio. The interview was done at the same Caroline’s Comedy Club and recorded for a later broadcast. While at college, Brian started drawing a cartoon superhero character called Stick Man. And, because Stick Man came from the mind of Brian Regan, he was flawed. He was a superhero with super powers, but he consistently came up a little short. For instance, if four people jumped from the roof of a burning building, Stick Man would save only three. The fourth would splatter on the sidewalk. Now, he had done his best. He’d done a good thing. But, in the end, it wasn’t enough. It wasn’t everything. Regan thought that he might be able to syndicate Stick Man. He gathered all his work and sent it off. The answer was no. he got the rejection letter. And he never tried to syndicate it again! It never occurred to him that this rejection represented the opinion of only one person. He took it as a total and final rejection of his work. He accepted the end of his dream. Of course, talking about that with Liz turned the conversation to my mother. She’d had a tremendously difficult life. Though she survived, her dreams did not. Her life had been horrible. Her childhood alone was one that would crush anyone’s dreams. She grew up in an orphanage, And that was when things got better. Prior to that, she and her twin sister were passed around among relatives for short stays. No one wanted them. And no one felt compelled to pretend they did. At one house they were fed only orange marmalade sandwiches. Their health deteriorated so badly that both girls were hospitalized, Their dreams then were that one day their parents would come for them. That day never came. I remember sitting with her at a church meeting. It was one of those times where the conversation went around the table and each person spoke their names and their interests. When it came to my mother, she said, in all honesty that she had no interests. The pastor pushed further, asking about hobbies. Surely she had a hobby. No. 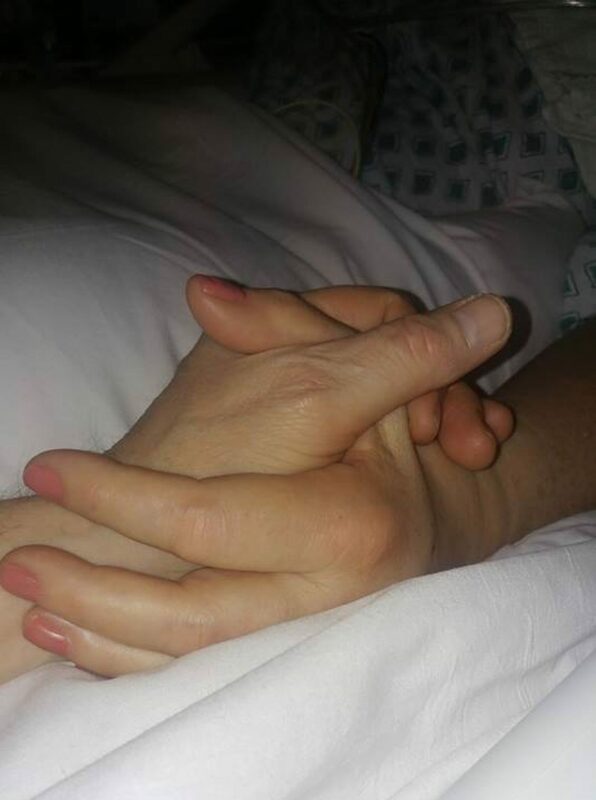 My mother remained steadfast. “Nothing in this life interests me at all,” she told him. Our relationship had always been rocky. My mother and I rarely got along. I knew she was broken. But, I also knew that the kids weren’t expected to fix the parents. When I got older, I tried. But, like Stick Man. I couldn’t do it well enough. The breaking had come when she was small and she wore the scars like armor now. Armor that simultaneously protected and wounded anew..Often I looked at her with disdain. That day I looked at her with compassion. How different her life may have been had someone spoken to her when she was a young woman and encouraged her to keep trying. Someone who might have told her that one person’s rejection. ten people’s rejection, didn’t mean she was crushed. She needed to know that. But, she never did. The obvious point of all this is that we each need to walk through this world with an eye for the broken. We need to be a superhero for someone even if we are an imperfect one like Stick Man. I had a life changing encounter with Jesus Christ in April of 1976. It was the traditional way, the pastor said that anyone who wanted to give their lives over to Christ should raise their hands. I did. Liz did. So we, pretty much simultaneously and altogether independently, raised our hands. That, as I believe it should, forever changed the way we looked at everything. Liz asked me repeatedly if I fully understood what I’d done. I assured her that I did. That Tuesday night (pastors are off on Monday) the Pastor used the “pop in” to shore up our decision. And he immediately brought up tithing. If Liz had any doubts about my willingness to follow fully, my agreement to tithe must have put an end to them right there! Sometime very shortly following that night, I began to see a push to have Christians involved in politics. Christians were taking back the culture! From my limited view, the vehicle they were using to reclaim that culture was the Republican Party. And, over the years, that Republican Party gradually hijacked Evangelical Christianity. Evangelicals fell in line with Republican “doctrine” even when it contradicted Christian teaching. It seems only fair, though scarily so, that the Republican Party should be hijacked today by a rich white man with an aggressive position. Donald Trump entered the race for the party’s presidential nomination with inflammatory words directed against minorities, the poor, and immigrants. He has virtually no political experience, he has been associated with the Democratic party as well as flirting with a third party candidacy. But, he has surged to the top of the polls by loudly saying what Republican Christians quietly believe. He seems to embody the values they treasure. What do the Republican Christians treasure? Well, poor Republicans seem to love any law that can make rich Republicans richer. They love anything that will help rich Republican businessmen hold onto their wealth. They love a small government that stays out of their business, but not their Liberal neighbors’ business. They love when law enforcement goes after a few kids wearing their pants too low or selling loosies on the corner but they don’t want the government regulating their boss’s salary. They love to tell dissenters to go find a better country, a revival of the sixties’ “America, love it or leave it,” but the ones who resent the government the most wave the biggest flags. Trump infuriated Latinos (and all thinking people) by describing Mexicans who come to the United States illegally as “killers” and “rapists” in his June campaign announcement speech. He added some days later, “What can be simpler or more accurately stated? The Mexican Government is forcing their most unwanted people into the United States. They are, in many cases, criminals, drug dealers, rapists…. ‘. He promised to both build a wall and to have Mexico pay for it. Christians! We can’t be like this. We can’t confine our Christian lives to the inside of church walls each Sunday, living by a different world view once we are back in the secular world. There is no secular world for the Christian. My pastor, speaking about tithing, once said that “god’s math is different than ours. Ninety per cent goes farther than One hundred percent when the first tenth goes to God.” His reasoning was that when we “obey God in the tithe” it works out better for us in the end. Well that’s not how it works. We don’t obey God so that we get more in the end. We obey God because we are supposed to.We aren’t checking out His program and following it if it makes sense. We follow it because we’re supposed to. We follow it whether it works or not. It certainly hasn’t worked for those who have been imprisoned, tortured and beheaded for the Gospel.They didn’t do it to see their bank account swell. They followed God because they were supposed to. That’s what we are supposed to do regarding our neighbors to the south. Sure, we set up an immigration policy but that policy must be kind, fair and realistic. We are to follow the words of Jesus when he says to love your neighbor as yourself. He seems to think it’s a pretty important ‘suggestion.” In tandem with loving God with all your heart, loving your neighbor as yourself sums up the law of the prophets. The remarks Trump made about Megyn Kelly after the debate are beyond the pale. His defense of his remarks was even worse. For a man whose fans claim “he tells it like it is,” he seemed to be unwilling to do just that. In true politician fashion he sidestepped what he really meant and accused those who were offended of perverse thinking. His Christian supporters claim he was “baited.” Perhaps he was, but so what? “He hit me first” has never been, nor should it ever be, an acceptable excuse for paid behavior. And Christians should never rejoice in someone who attacks the human dignity of another. God made us in His image and when we revile another, we revile Him. And why do Republican Christians have such a love affair with successful businessmen? I’m a simple guy. Not complex. I’m easily trained. The same situation produces the same thoughts and memories in me. When my little Sophie was a bit more than a year old, I thought it would be funny to torture her mom. Each time I went through a doorway I would smack the doorframe and say “sorry, Sophie.” Now I often remember the time she beat me to it, slapping the frame and saying “sorry, Papa.” Everytime I brush my teeth I smile as I think of Lily, who brushes her teeth by holding the brush steady and moving her head from side to side. Maxwell Maltz wrote a book in the late 60’s about how we can change our own perceptions about ourselves. It was “Psycho-Cybernetics”. It was based on the assumption that are memories of events shape our present day responses to similar situations. One of the striking claims Maltz made in his book was that, if we came to a fork in the road, barring any memory we had of the last time we were there, we would always make the same decision about veering left or right. If we went right last time, we’re heading right again today. So, when I see something that strikes me, I think of the same thing I thought of last time. Sort of a mental Groundhog Day.It helped me a lot. And it helped the Atlanta Braves a little. The 1969 Braves read the book as a team and won the division championship. Then they got swept by the Mets in the playoffs. I try to go to daily Mass. My schedule allows it and I enjoy it. I’ve never once joined the communion line at Mass without thinking of my Aunt Thelma. She was the first in my family to convert from protestant to Catholic. She’d been raised in a protestant family. Her dad was a Lutheran minister. Her parents taught the faith. Still, as an adult she made the conversion. She did it for the most classic of reasons. She’d fallen in love with a Catholic. She and my future uncle were to be married. So she converted to Catholicism and promised to raise her children as Catholics. She kept that promise and, as often happens, she became a more devout follower than my uncle Joe was. The thing I remember about her when I’m on the communion line is her contemplative silence after receiving the Eucharist. It was impressive devotion. I could see that it was real. The first time I saw that was when I’d slept over my cousins’ house on a Saturday night and went to Mass with them in the morning. When my aunt came back to the pew I asked her a question. My cousin Joey interceded. “You can’t talk to her after she’s received the host, ” he said. “She won’t speak.” This was great. I thought it would last all day. But, of course, it didn’t. By the time everyone was filing out of the door, she was greeting all her friends enthusiastically all the way to the parking lot. Her silence may have ended, but even a cynical guy like me could see that the devotion which inspired it had not. Martin Luther is thought to have said “We need to hear the gospel everyday because we forget it every day.” Now there aren’t many Luther quotes I can get behind, but that one is one I agree with. For me, it’s the same problem I have with a diet. I may make an honest promise to myself to eat better in the morning but I’m likely to be snacking on peanut butter and jelly by the evening. Sometime during the day I forget how fat I am and I drop the diet. It’s the same story with those decisions I make at Mass. I hear the homily and I want to be kinder. I want to be nicer to people. That’s why I try to go to Mass every day. I need to hear the gospel every day. Because I, along with Luther, forget it every day. And what do I hear at Mass/? Well, there’s a reading from the Old Testament. A responsorial psalm, and a reading from the New Testament. Generally, the readings are pretty clearly linked. Then the priest sums up the day’s readings with a homily that identifies what Jesus did and said. He usually says that we should go and do likewise. So, that’s the things I need to hear each day. Because, if I don’t I very well forget. I was fortunate to see my Aunt Thelma live out a devout Catholic life, She wasn’t perfect. We all knew that. You could surely get on her bad side. And that was never a place that was fun to be. But, more likely, she was the voice of reason around the table when we were visiting. She was the one who could see that someone did wrong but was still deserving of love. Now, I’m not kicking myself for my failure to measure up. I’ve been on that “good Christian” treadmill many times before. It took a lot of work but I always wound up in the same place. So, I’m not getting back on. Not ever. Still, I do think it helps me to go to Mass as many days as I can. It makes me want to be a better person. So, maybe one day I can start going a little easy on the peanut butter and jelly. And, maybe someday I will actually become that better person. Maybe I will be a kinder guy. And maybe it will last even after I drive away in the car.